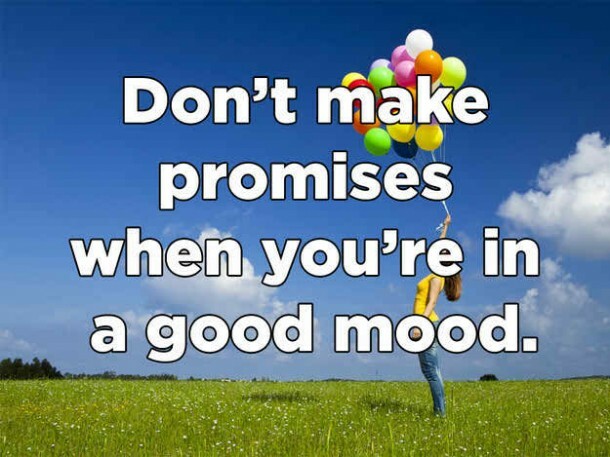 Never ever make promises when you are happy because it is very difficult to keep promises. 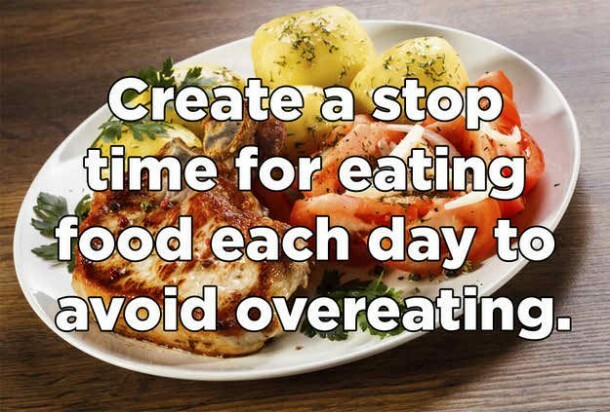 Turn on an alarm to stop you from over-eating. 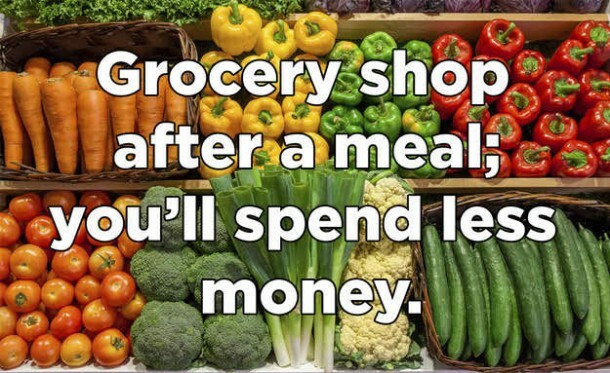 Buy your grocery after you have your meal, this will psychologically let you buy only the things you need to rather than spending extra money. Wear thick socks and blow dry them around the tight section and Give them some time to cool down. 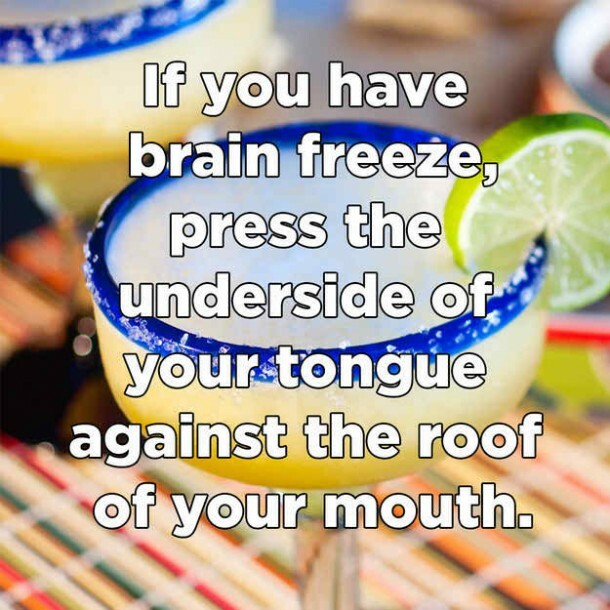 If your brain freezes, then press the under-side of your tongue against the upper part of your mouth.Problem solved. 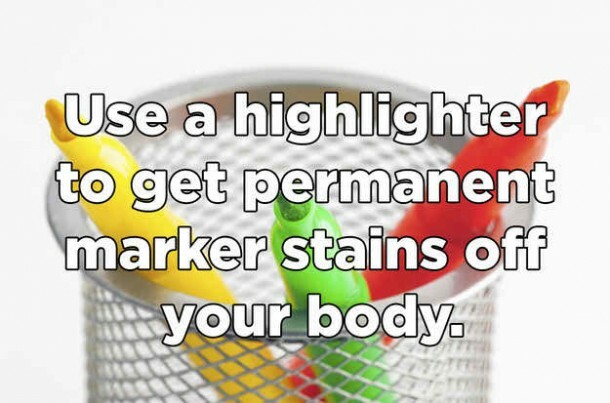 Highlighters help in removing the permanent marker stains. 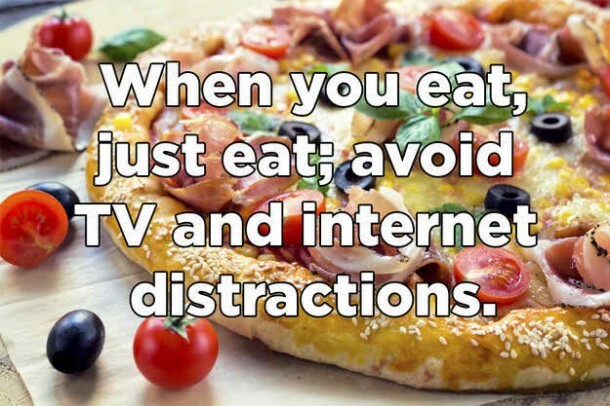 This genius trick does work. 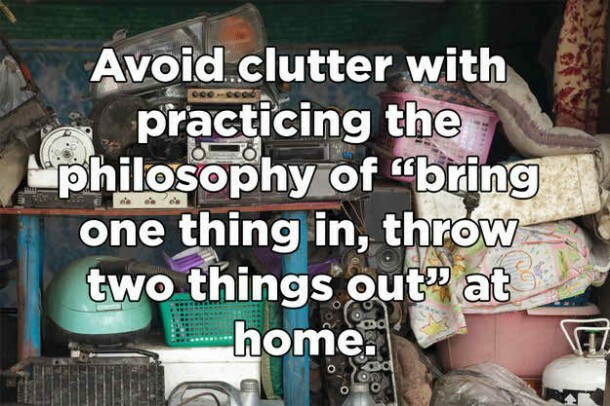 Following the philosophy “Bring one thing in and throw two things out” at home will help you in managing your stuff and prevent your house from becoming a store room. 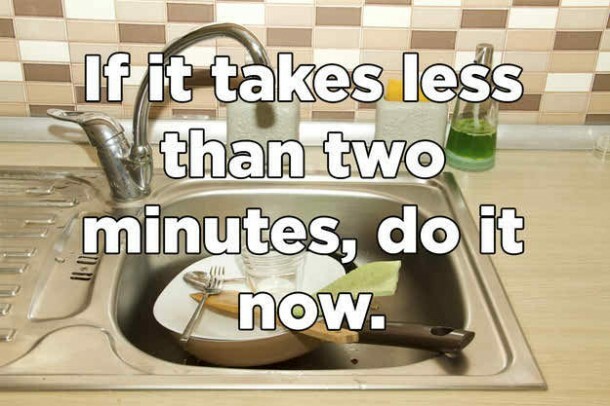 Try to finish your work in time especially if it takes two minutes. 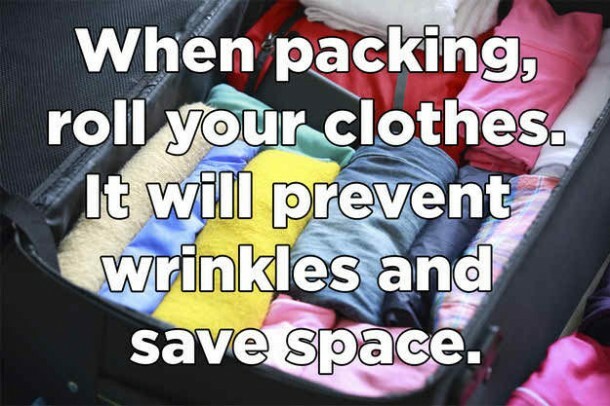 Roll up your clothes in your suit cases while packing as it increases the storage space. 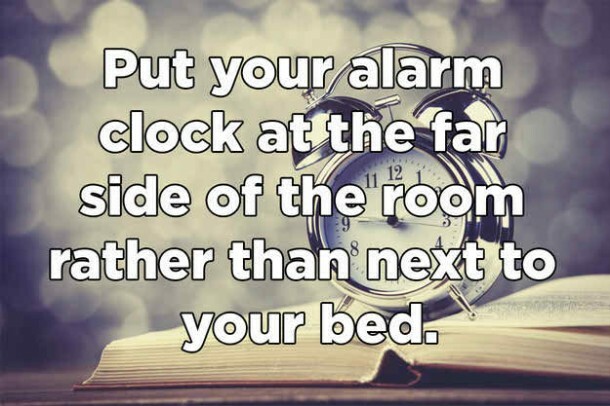 Place your alarm away from you so that you will have to move yourself from the bed rather than snoozing it. 09. 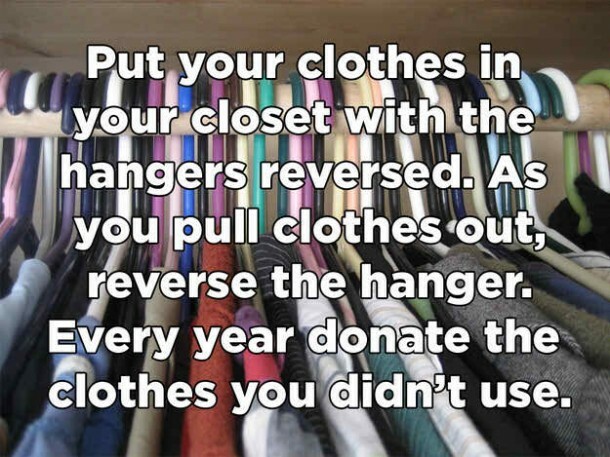 Organize your wardrobe with reversed hangers trick. Placing hangers reversed will help you taking out your clothes quicker. 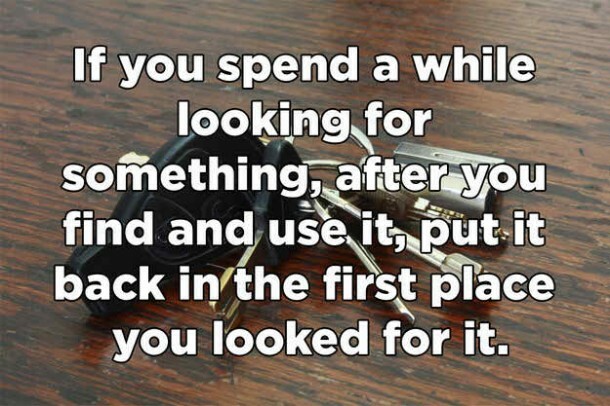 Don’t waste your time on finding your lost things around by practicing this life hack. 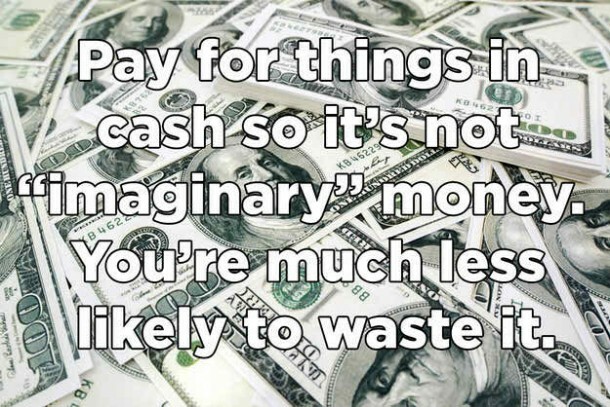 Psychologically paying through cash lessen your expenses, because when we pay through cards, we don’t get the feel of spending. 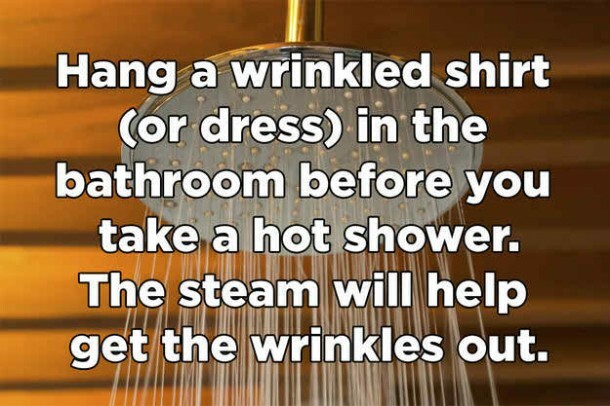 While taking a hot shower, hang your wrinkled clothes in the bathroom and get rid of wrinkles. 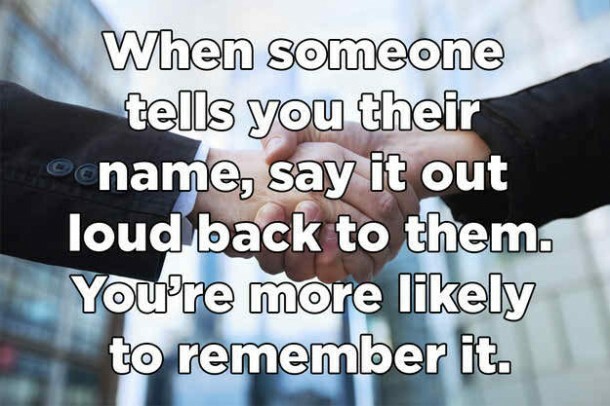 Repeat the name loud when some one tells you their name, it will be saved into your memory. 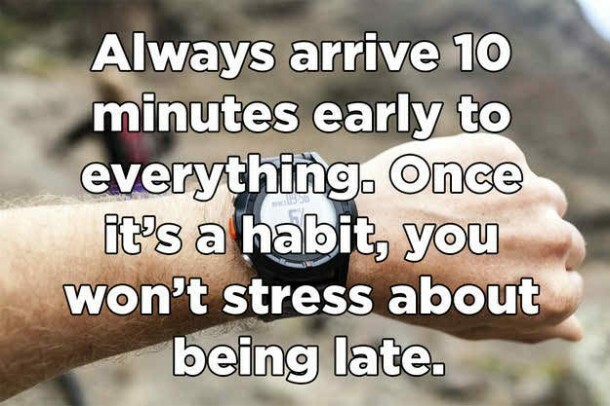 Make a habit of arriving 10 minutes earlier. You will never be stressed about being late. 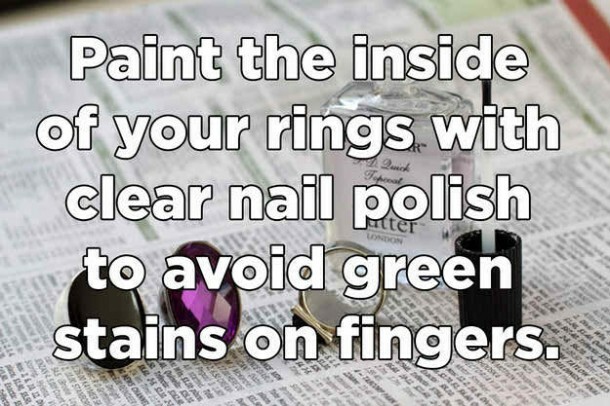 By painting inside of your rings will prevent green stains on your fingers. Read back the number incorrect, if they repeat it the same then it would surely be legal. 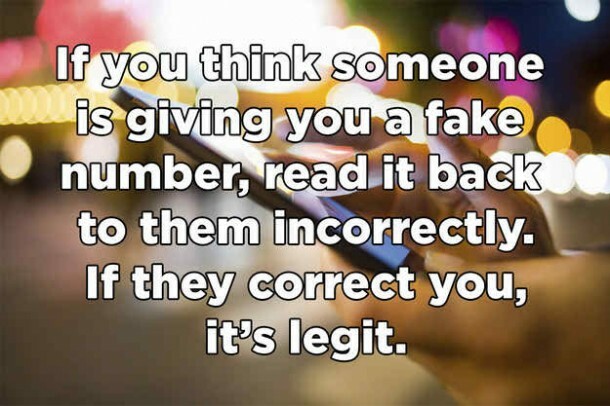 This trick is amazing in knowing if anything is fake or real. 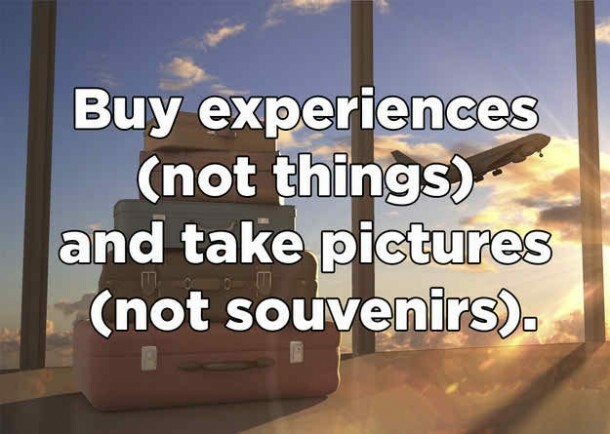 Whenever on a trip, try to enjoy the experience rather than wasting money on buying things because things expire but the memory of the experience doesn’t.